The Third Quarter Tredyffrin Real Estate Absorption Rate is looking more like a normal real estate market instead of one drowning in inventory. 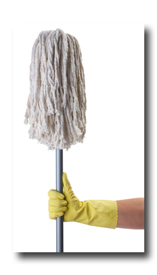 Some months I have felt like I needed a huge mop to soak up the excess inventory. And in some markets that’s still the image that resonates. But here in Tredyffrin Township for the Third Quarter Real Estate Market, we’re showing signs of recovery. The months supply of inventory is down to 5.6 months. Keep in mind that the MSI and the Absorption Rate is based on the assumption that no new inventory is coming on the market, which is never the case. The Months Supply of Inventory and Absorption Rates are averages, so there are definitely properties selling within days and even some with more than one offer and others, especially in luxury home price ranges, that are languishing. MSI and it’s second cousins, Days On Market and Interest Rates, are the only numbers we like to see coming down in real estate market statistics. The MSI for September 2009 is down to 5.6 months in Tredyffrin compared to an MSI of 7.7 months in September of 2007. The Days On Market in September of 2009 is 81 DOM which is up from 34 DOM in September of 2007. The DOM indicator is up 139% and the Months Supply of Inventory is down 27%. Contact or call Judy Peterson Realtor 610-889-5509 Prudential Fox and Roach Devon Home Marketing when you need a professional Market Analysis for your home in areas like Tredyffrin Township, Chester County Philadelphia Main Line Pa. This entry was posted on Tuesday, October 20th, 2009 at 7:23 am	and is filed under A Realtors Life, Chester County, Financial, Home Buyers, Home Sellers. You can follow any responses to this entry through the RSS 2.0 feed. You can leave a response, or trackback from your own site.